Kerkinni - Your bathroom remodeling partner in Minneapolis! Call us at 651-571-4761 or email [email protected] and we'll start to discuss your needs right away! If you need someone who can bathroom remodel in Minneapolis and the surrounding suburbs, you've come to the right place! Kerkinni & Company performs all types of remodeling and renovations, but are specialists when it comes to bathroom remodeling. Our craftsmen are certified and have extensive experience in the bathroom renovation. We are also experts in electrical and plumbing work. We will work with you through every step of the remodeling process to ensure you're completely satisfied. Contact us for a free quote or if you have questions about our services! We have extensive experience in bathroom remodeling and renovation in the Minneapolis/ Twin Cities area. Our promise is to deliver the same high quality results every time - whether your project is large or small. With over 20 years of expericence, we'll make sure you get exactly what you're looking for. Kerkinni & Company strives to exceed the highest construction-related expectations of today’s Twin Cities residential homeowners. We are committed to excellence in craftsmanship and place high importance upon communication with every client. We will work with you to ensure every detail is as you expected! We want to remove the stress from your bathroom remodeling project. We try and make it as easy as possible so you can sit back and relax. Our designers will work with you to put together a project plan. Once complete, our experienced team will go to work building your dream bathroom.This is something that differentiates us from many of our competitors- We work with you during every step of the journey to make sure you're completely satisfied. When it comes to bathroom remodeling, we do it all. Whether it's a single family home, townhome, condo, or commercial space, our experienced team has done it. Check out our references and inspiration page to see the work we've done. Under the inspiration tab, you will find examples of how we can help you realize your dream bathroom. 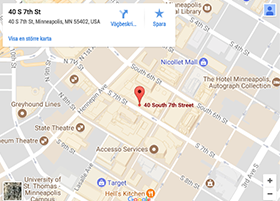 You are also, of course, welcome to contact us to get references of bathroom remodeling in Minneapolis jobs that we have done. 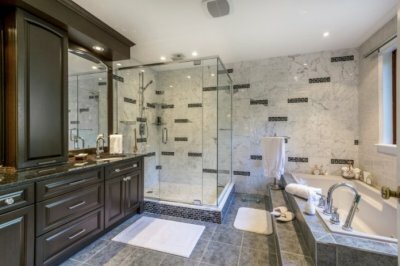 Each project is unique, but we're confident our prices in bathroom remodeling are the most competitive in the Minneapolis/ Twin Cities area. When you contact us for a quote, you always get a detailed price quote without hidden costs or surprises. When we perform bathroom remodeling in Minneapolis, we do so in a series of stages. We always perform our work with accuracy and professionalism. The first thing we do is to cover the bathroom floor with protective paper. We also set up all the gear we need. After carefully removing any furnishings that will be part of the remodel, our team gets ready for stage 3, the demo. When all preparations are completed, we will begin the demolition. The surface of all walls and floors are torn. The amount of time we spend on demolition will depend on the plans. If, for example, we need to put in sewage pipes, we'll then be required to break up and remove the entire flooring. If it's a basic renovation, demo time is usually pretty short. Remodeling is the fourth step. This is where our team shines. When the bathroom remodeling is complete, we put back any furnshings that were removed, remove all of our gear, and clean up leaving your new bathroom sparkling! You're bathroom is usually the first room you enter in the morning and last room you use prior to bed! So why not make sure its a room you're proud of. Let Kerkinni & Company make your bathroom remodeling dream a reality! Contact us to speak with a bathroom renovation specialist. We renovate big and small bathrooms throughout Minneapolis, St. Paul, and the suriounding suburbs!